In a peer-reviewed research report (June 2013) published on Plos One (http://www.plosone.org/article/info%3Adoi%2F10.1371%2Fjournal.pone.0065522), researchers Angela M Poff, Csilla Ari, Thomas N Seyfried and Dominic P D’Agostino have studied the use of a Ketogenic Diet in combination with Hyperbaric Oxygen in mice with metastatic cancer. The results are extremely impressive and human trials are now going ahead. The researchers (from the Dept. of Molecular Pharmacology and Physiology at the University of South Florida and the Dept. of Biology at Boston College) explain in the introduction, that cancer cell metabolism creates a glucose dependency (glycolytic-dependency), which can be exploited by lowering glucose availability to the tumour. The ketogenic diet (KD) is a low carbohydrate, high fat diet which decreases blood glucose and elevates blood ketones and has been shown to slow cancer progression in animals and humans. However, at the same time the abnormal blood supply to tumours creates ‘hypoxic pockets’ (pockets where there is no oxygen and a lower pH). These pockets promote cancer progression and further increase the glycolytic-dependency of cancers. Hyperbaric oxygen therapy (HBO, or HBOT, or HBO2T) saturates tumours with oxygen, reversing the cancer-promoting effects of these pockets. Since these non-toxic therapies exploit overlapping metabolic deficiencies in cancer, the researchers tested their combined effects on cancer progression in a natural model of metastatic disease. In a multi-faceted study the researchers used a Ketogenic Diet (KD) along with three 90 minute sessions of Hyperbaric Oxygen Therapy per week. Under normal conditions just 8 per cent of the mice with metastatic cancer survive. The conclusions state that: a ‘KD alone significantly decreased blood glucose, slowed tumor growth, and increased mean survival time by 56.7% in mice with systemic metastatic cancer. While HBO2T alone did not influence cancer progression, combining the KD with HBO2T elicited a significant decrease in blood glucose, tumor growth rate, and 77.9% increase in mean survival time compared to controls’. 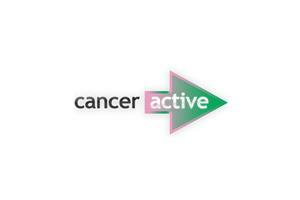 Chris Woollams, former Oxford Biochemist and CANCERactive founder said, "At CANCERactive, we are delighted to bring you this research. We have been telling people on our website about the Ketogenic Diet for over 6 years and about Hyperbaric Oxygen for as long. We even helped The Royal Marsden recruit for their Clinical Trial on Hyperbaric Oxygen. There is a word of caution however, in that HBOT absolutely must be used with a low carb diet. There is a little evidence that it can make matters worse if used with high carbs". The Ketogenic Diet: Click here.